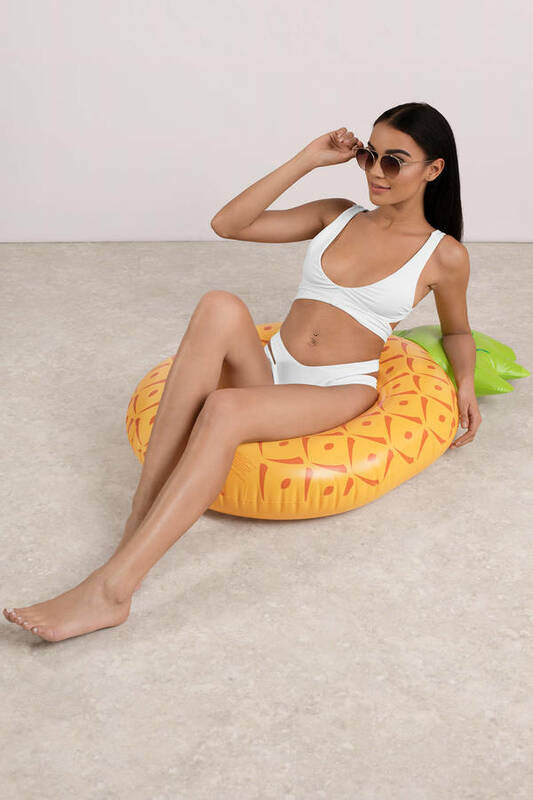 Check out Tobi's Pineapple Pool Floatie Planned your next getaway? You'll love the Yellow Pineapple Pool Floatie for vacays and pool parties. In a vibrant pineapple print, this fun pool float will set off your fav bikini to perfection. Umbrella cocktail, anyone? Planned your next getaway? You'll love the Yellow Pineapple Pool Floatie for vacays and pool parties. In a vibrant pineapple print, this fun pool float will set off your fav bikini to perfection. Umbrella cocktail, anyone?